OET Nursing letter in January 2018 was relatively easy with no real surprises. Here a patient suffering from Parkinson’s disease was moving to a nursing home. A standard OET letter format was required. Below are some of the case notes reproduced from our students’ memory. 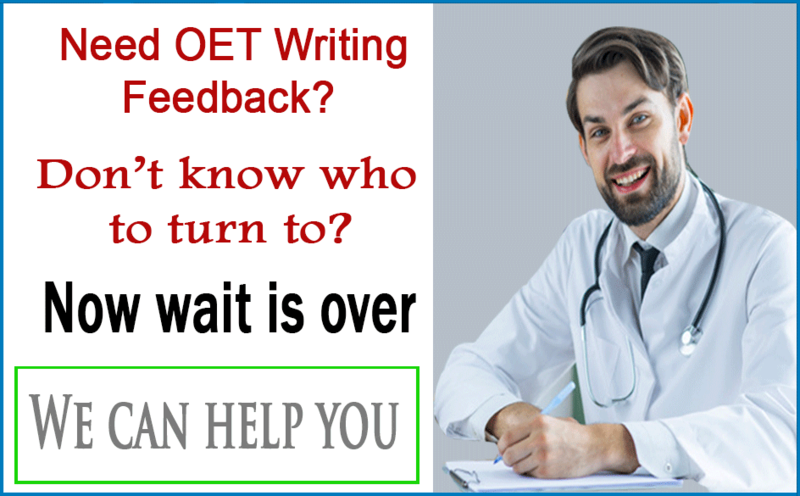 These may not be complete but fully capture the essence of what OET Writing section was about on 12th January exam in Adelaide, Australia. Write a letter to a manager in Richmond Nursing Home where the patient is going 1st time to stay. I am really struggling with OET reading,my recent exam score for reading is 310 and all other modules I had 350,360&370.How can i improve my reading to get B score.